Not every campsite is equipped with an electrical outlet, so having a battery-operated air pump is a must. The Vitabri Rechargable Air Pump with Battery for AirDome Canopies is ideal for campers who spend long periods of time outdoors or change locations frequently. 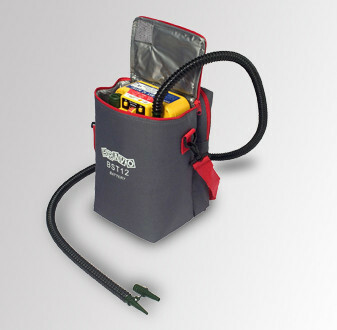 Available in chrome finish, this air pump is easy to carry from site to site. It runs on electricity and is rechargeable when using a standard 12v AC outlet. This air pump works with any Vitabri air dome canopy. Easily portable and flexible for fast-working function, this rechargeable electric air pump has a quick output of 450 psi of air per minute with 800 mbar max pressure.